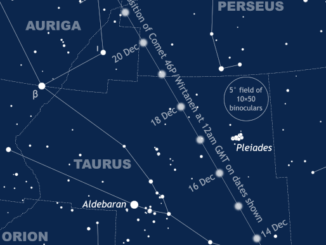 Bright Comet 46P/Wirtanen skims past Earth just 30 lunar distances away on 16 December when it could become a diffuse magnitude +3 object almost a degree wide located between the Pleiades and Aldebaran in the constellation of Taurus. 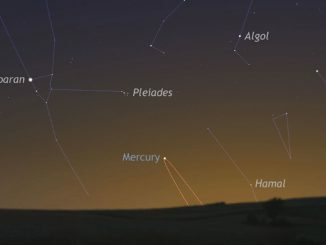 Grab your binoculars and find a dark sky location well away from streetlights to enjoy this Christmas comet before the glow from a waxing Moon gets too bright from 17 December. 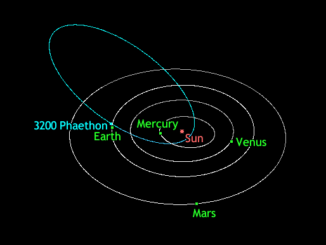 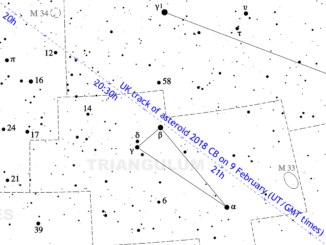 As darkness falls over Western Europe on the evening of 9 February, near-Earth asteroid 2018 CB lies almost overhead as seen from the UK. 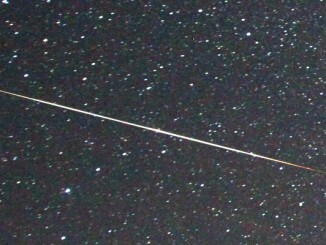 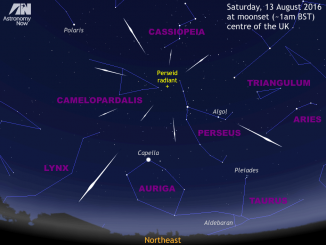 We show you how and when to find this 30-metre-wide space rock as it speeds through the constellations of Perseus and Triangulum, passing just one-fifth of the Moon’s distance away at 22:27 UT (10:27pm GMT). 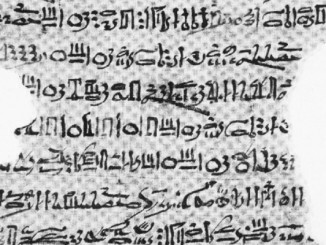 Did the ancient Egyptians record the period of eclipsing binary Algol? 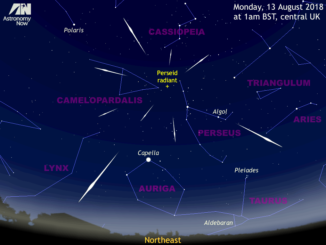 A scholarly investigation of the Cairo Calendar papyrus (1244–1163 B.C.) 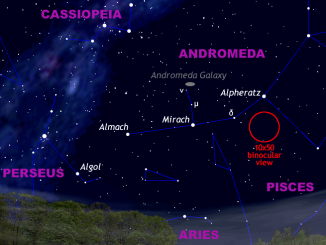 has led researchers at the University of Helsinki to conclude that the ancient Egyptians were aware that the variable star Algol (beta Persei) had a 2.85-day period. 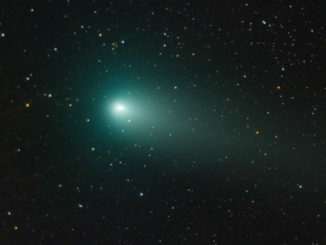 Given that the star’s current period is 2.8673 days, this supports the theory that mass transfer between the stars of this eclipsing binary has caused a long-term increase of its orbital period.